Tired of Thanksgiving leftovers? Fortunately, there's lots of fresh music coming our way this week, starting with a slam-bang weekend that includes a double homecoming at the Artists Quarter in prime time and a couple more at the Dakota on the late shift, and a Sunday musical fundraiser for one of the few jazz-friendly radio stations in the region. 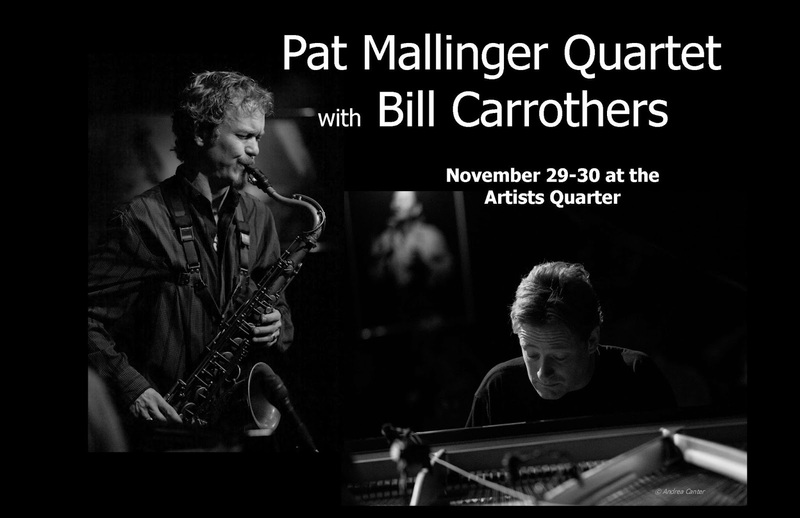 One of the premiere jazz organists returns to start off the week, and old (and not so old) friends open up the last month of music at the Artists Quarter. And smaller venues keep the jazz fires burning while an award-winning film about the women of jazz returns for a week of screenings. Friday, November 29. It's quite a Friday night. Start early at the Black Dog for the Talking Strings, whose gigs are too far and few between. 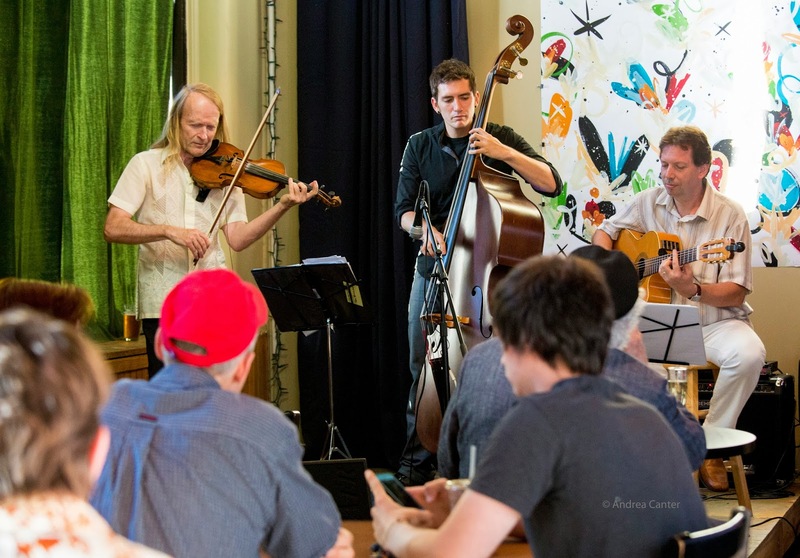 The Strings include violinist Gary Schulte, guitarist Pavel Janey, and bassist Dan Weston playing some of the most interesting music on the Black Dog stage-- and interesting music is the norm here! For the second of his two late night stops this week, former Twin Citian John Raymond finds some new, like-minded cohorts for tonight's Late Night at the Dakota. 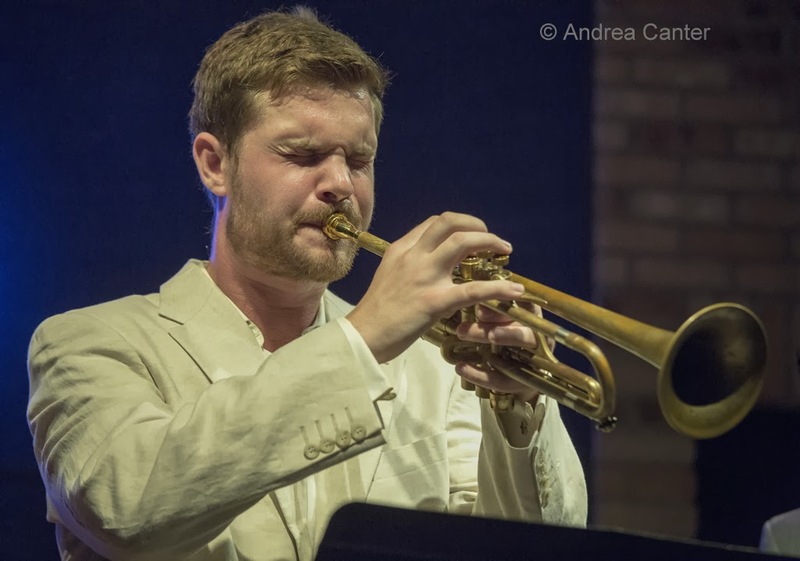 The young trumpeter was in top form earlier in the week at the Icehouse with Bryan Nichols and the brothers Bates; now he turns up the heat with a chordless quartet, with Chris Thomson, James Buckley and JT Bates. Worth a sleepy Saturday. Speaking of the Icehouse, and also on a late night schedule, another option is the Atlantis Quartet. With Zacc Harris, Brandon Wozniak, Chris Bates and Pete Hennig, you won't have any trouble staying awake as the guys hold the Minneapolis celebration of their new CD, Expansion. Friday-Saturday, November 29-30. Over the past decade, two of the most popular visitors to the Artists Quarter have been Pat Mallinger and Bill Carrothers, each a Twin Cities native who relocated after stints at the University of North Texas. 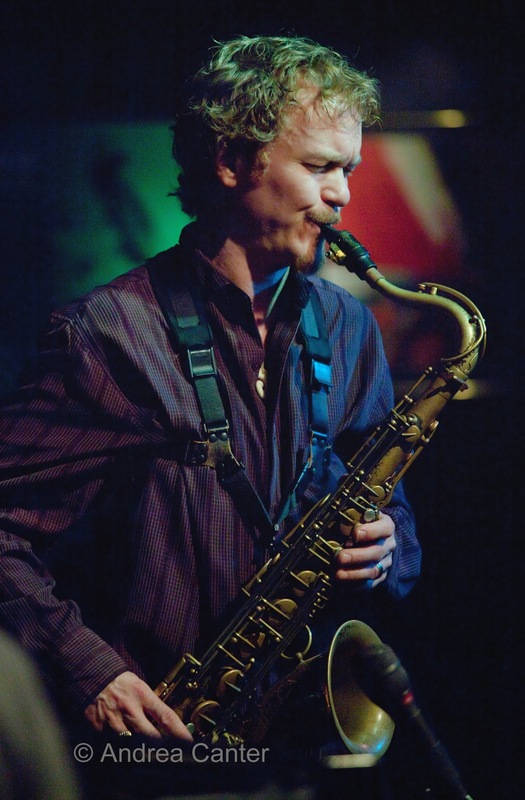 Saxophonist Pat has been based in Chicago where he is a fixture at the Green Mill; pianist Bill found more recognition in Europe where he continues to tour frequently from a home base in northern Michigan. But the holidays typically bring both musicians back to Minnesota, where they occasionally join together for an incendiary weekend. And as usual, they will be joined by Billy Peterson and Kenny Horst. Expect fireworks. Friday-Thursday, November 29-December 5. 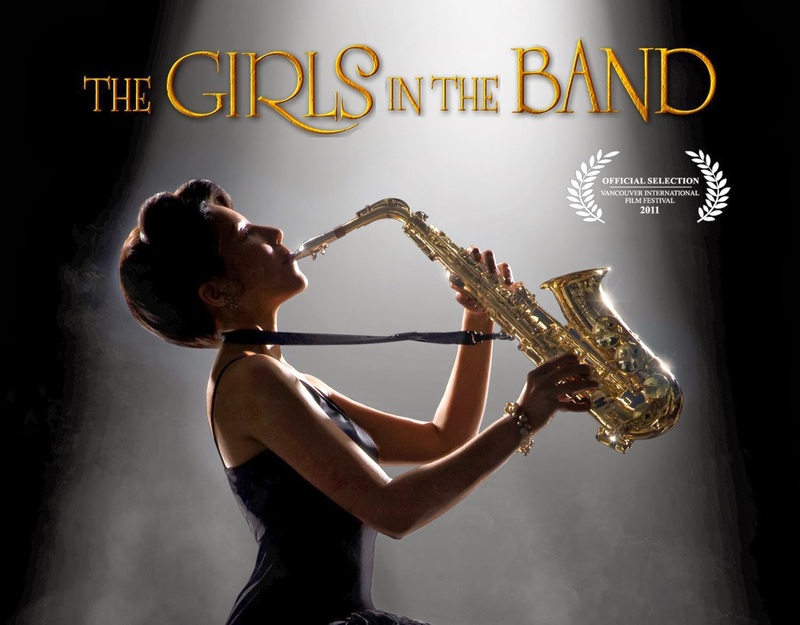 Back by popular demand, The Girls in the Band was a big hit at the 2012 Minneapolis-St Paul International Film Festival, and the documentary about the trials and tribulations of women instrumentalists in the male-dominated world of jazz returns for a week of screenings at the St Anthony Main Theater. Vintage clips include Melba Liston, Clora Bryant and the Sweethearts of Rhythm. Matinee and evening showings each day. Saturday, November 30. Jazz keeps popping up in new places. Take a morning coffee break with Rhonda Laurie and Joel Shapira at the Even Break Gallery at 50th and Penn (Minneapolis). The songs will swing. Another reunion, this time on the Late Night schedule at the Dakota, brings together 4 young jazzers whose paths have criss-crossed as they've evolved into serious musicians. 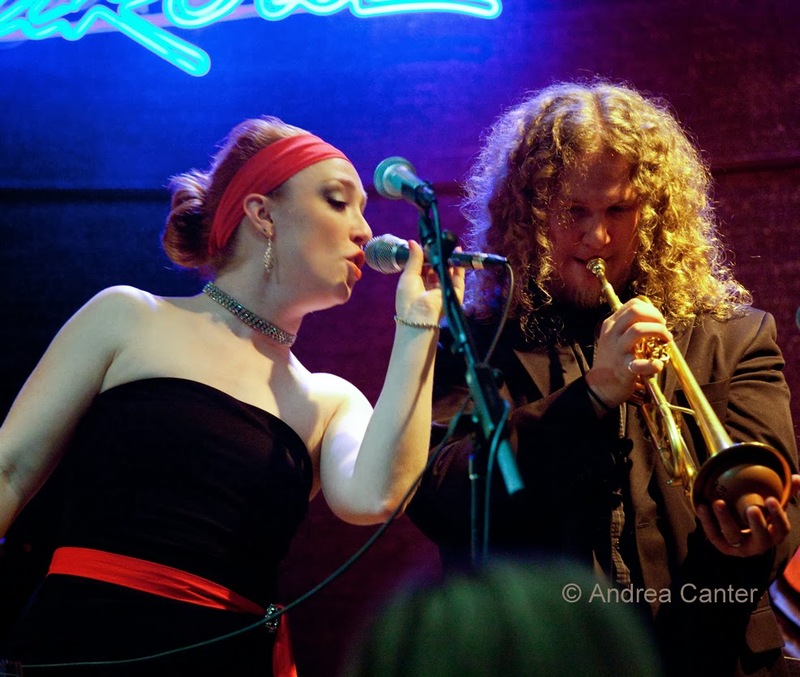 The "Baldwin Sisters" -- trumpeters Jake Baldwin and Noah Ophoven-Baldwin (no relation!) meet up with bassist Ted Olsen and drummer Cameron LeCrone. Jake recently returned to the Twin Cities after finishing his degree at New England Conservatory; Noah is finishing up his studies at the U of M, while Ted (Luther College) and Cam (Northwestern U) are in town for the holiday. Expect an evening (and early morning) of the unexpected! Sunday, December 1. Although not limited to jazz, KFAI Radio's programming includes some serious jazz shows each week, including Larry Englund's Rhythm and Grooves and Janis Lane-Ewart's The Collective Eye. 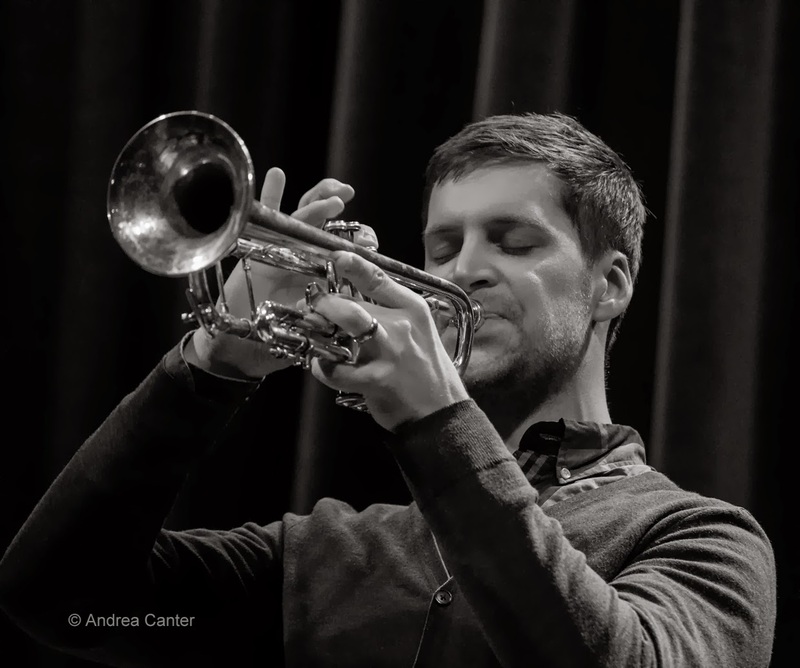 The nonprofit station holds a fundraiser at the Amsterdam Bar tonight featuring three groups of top brass-- Jana Nyberg and Adam Meckler, an ensemble led by Solomon Parham, and the Jack Brass Band. And for fans of small ensemble jazz, the Zacc Harris Trio returns to its weekly gig at the Riverview Wine Bar thanks to a change in zoning that now allows three musicians on stage at one time. Monday, December 2. 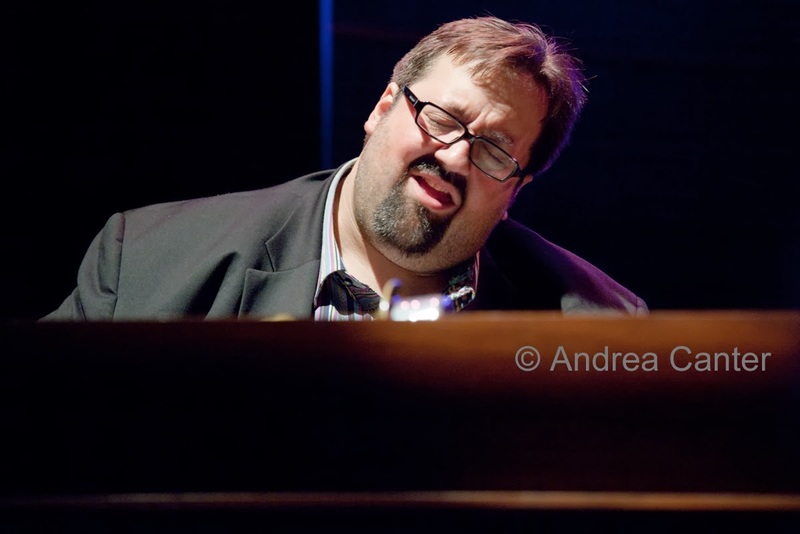 Once a child prodigy, Joey DeFrancesco lived up to his early promise and then some, now regarded as top dog jazz organist and a favorite visitor to the Twin Cities. Tonight he's burning bright at the Dakota with his trio. Another top dog, this time octagenarian bebopper Dave Karr, swings his ax (or ax arsenal) as the featured artist for JT's Jazz Implosion at the Icehouse. Tuesday, December 3. "First Tuesday" options on both sides of the metro: Veteran improvisers Dean Magraw and Davu Seru continue their collaboration at the Black Dog, this month with special guests Louis Alemayehu (spoken word) and Dorene Waubanewquay Day (vocalist), while over in southwest Minneapolis, one of the hot young bands, Triosé (Vinnie Rose, Jeremy Boettcher and Adrian Suarez), brings its unique takes on jazz and pop to Cafe Maude. Thursday, December 5. 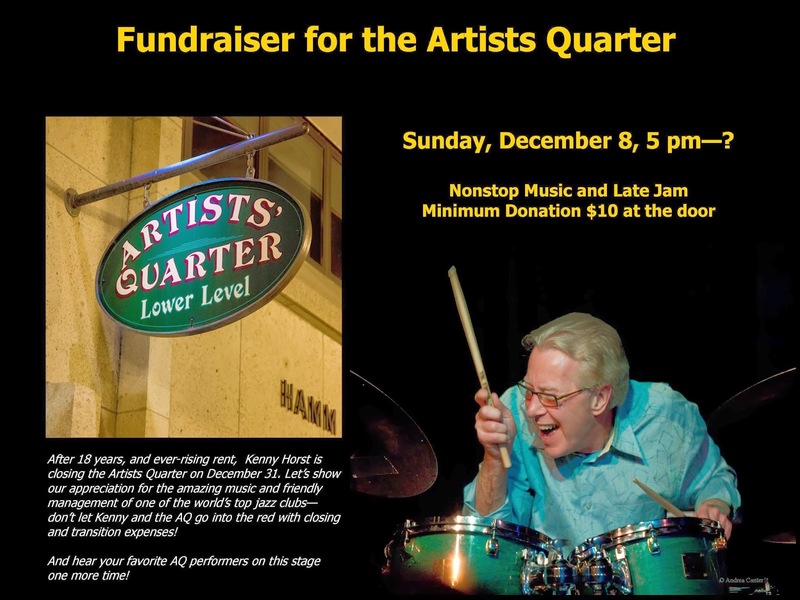 A double-header at the Artists Quarter features some of the area's youngest artists opening for one of the area's most revered veterans. 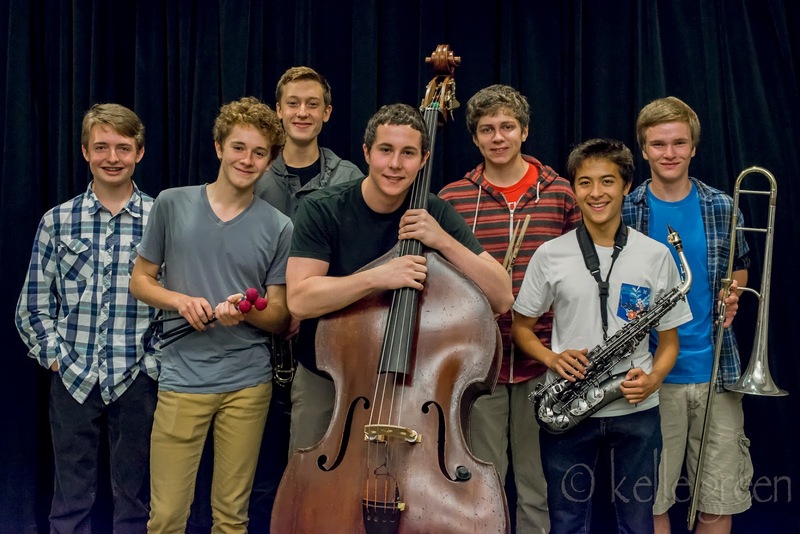 At 7 pm, the final Young Artists Showcase at the AQ introduces the latest edition of the Dakota Combo, directed by Adam Linz, sponsored by the Dakota Foundation for Jazz Education in partnership with the MacPhail Center for Music. This septet of high school juniors and seniors will present some interesting arrangements and original compositions. 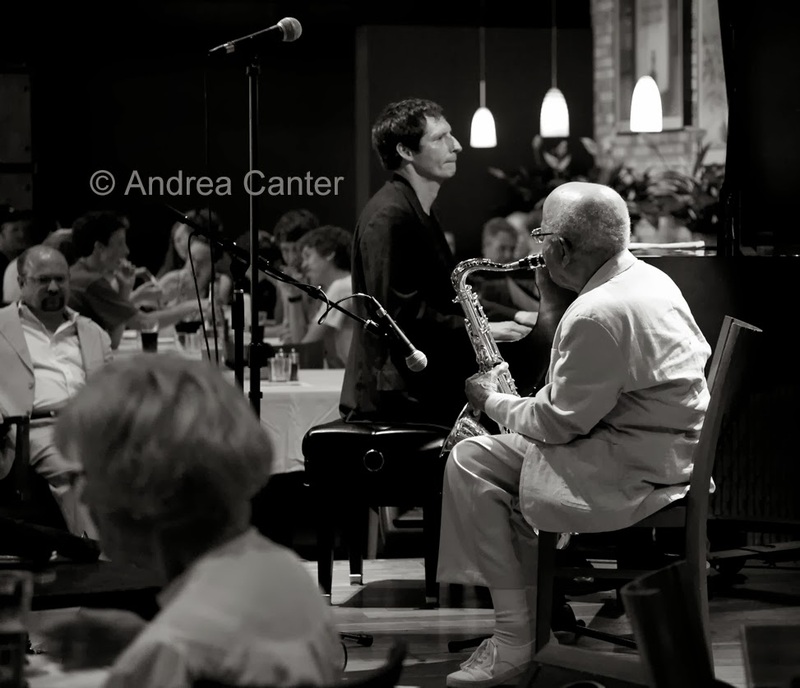 Prime time, the Dean Granros Trio returns to the AQ. It's been a while since guitarist Granros took the stage here, and very likely it will be the last. Dean is one of the most inventive artists in the metro, and the AQ has long been "home." Wednesday, December 4. Charmin Michelle and Denny Malmberg at Fireside Pizza; Steve Kenny's Group 47 followed by Park Evans, Brian Courage, Brandon Wozniak and Greg Schutte at the Artists Quarter; Frankhouse at Hell's Kitchen; Minnesota History Theater's Sample Night Live - Audience Favorites, including Lee Engele and Maud Hixson.